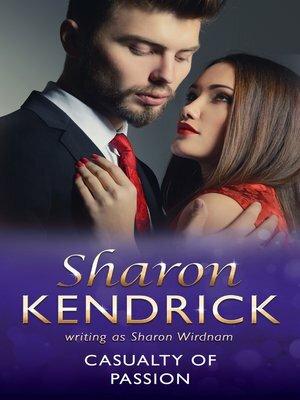 Mills & Boon are proud to present a thrilling digital collection of all Sharon Kendrick's novels and novellas for us to celebrate the publication of her amazing 100th book! Many of these books are available as e books for the first time. The man from her past... Kelly Hartley thought she had turned her back on her childhood dreams of being a surgeon, much like the naïve fantasies of the man who stole her teenage heart. But three weeks in to her new training post, she discovers that the new surgical registrar is that same man – Lord Randall Seton. When he disappeared from her life years before, Kelly promised never to make the same mistake again and initially keeping her distance isn't hard when he is so scathing about her career change to GP! But can Randall prove that Kelly can still embrace all her dreams, both that of being a surgeon... and being with him?